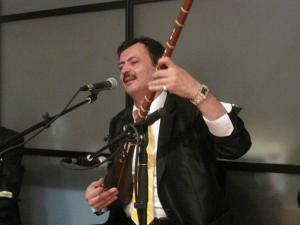 Roshel Rubinov, the master Bukharian singer, composer, and instrumentalist, presents a rare concert of classical Central Asian music, known as maqom. Performing both traditional music and original compositions, Rubinov will play both tanbur and guitar and will be joined by his brother Yakov Rubinov, an expert doira (frame drum) player; Ilya Khavasov, one of NYC’s leading Bukharian singers; and dancer Shahlo Khudoyberdiyeva. Live@365 is funded with generous gifts from the Baisley Powell Elebash Fund and the Ford Foundation’s Good Neighbor Committee.